I recently got a consulting project that will require predictive modelling. I spent this week trying to get a feel of what the client requires from me; I spent 4 days (closing at 8pm) at the company just to get a good grip of the work scope. And now I have a big enough motivation to learn predictive modelling. You might be amazed by the number of books and ask if I will be able to read them all. The truth is I'm not bothered about reading them all immediately; the trouble is that when I want to learn a thing I don't buy just one book. Even when I do google search, I open up to 10 different results before I begin reading one. It's really funny, especially when I'm searching for the meaning of a word. I would open results from thefreedictionary.com, vocabulary.com, dictionary.reference.com, merriam-webster.com, en.wikipedia.org and urbandictionary.com. And investopedia.com sometimes. Just to learn the meaning of a word. Even a word I could have correctly guessed its meaning. And I use the same approach in learning from books; I buy many books. So I've now officially joined the Big Data train. I will be learning to make predictive models and do all those cool stuff that has made Big Data the new hype. And I will not be working on dead sample data. I will be working on live data that will drive business decisions and deliver value for everyone involved. I have tried learning R language and statistical analysis a few times before but I never had a commercial reason to give it my usual obsessive focus. The training I signed up for were all taught by college professors and I saw little commercial drive to learn it like I did Excel. But now I'm into it. I will be reading my eye balls out and putting to practice all I read as I have a soft deadline to meet. I have been told to help make the most out of the data bank, so I will be needing to think as creatively and analytically as possible. Both during the day and at night I will be thinking big data. Even in my dreams, like I used to dream of Excel in 2012, I will be dreaming of predictive analysis. I will be turning down some training offers to make out more time for this. Training has never been a big piece of my original business plan; consulting and building creative data analysis solutions were my original focus. But training is easier to sell and with my level of expertise, I come at a huge bargain. Even while I used to do this part-time, I did mostly Excel macro jobs and special Excel based jobs. I never tried to make money from training, the few people I trained, I trained for free (except 1). Soon you will begin to see occasional posts on big data and my journey into that exciting world. 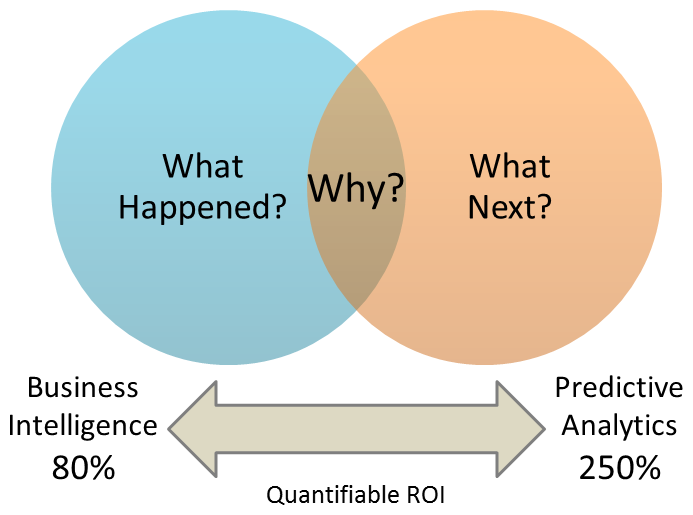 How's your journey into analytics been. How far have you gone. I'm also transitioning into data science. Sent you a request on LinkedIn. Thanks. I have accepted the LinkedIn request, though not sure which can from you. My journey has been not as fast as I was originally planning. Not easy to combine working with learning. It's great to hear you're getting into the data world. It's an exciting field and growing tremendously. I am sure it's a rewarding career move you've made.